While you are carrying your baby around, it is necessary for both the child and the parent to stay comfortable all the time. At times when you are on the move for an extended duration along with your baby, it can be straining for the parent’s back and shoulder with the added weight. In such situations, the baby carriers come into the scene to serve two purposes. Using the baby carrier, you can still keep your newborn baby close to yourself while still being able to stay at ease. The modern baby carriers are designed to evenly distribute the weight across your shoulder and waist to keep them pain-free. 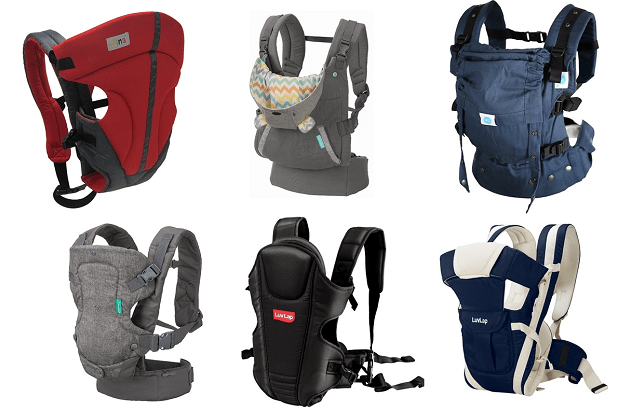 Below mentioned are some of the best baby carriers that you can buy in every budget. 1) Ensuring comfort for both the baby and you, this baby carrier is designed to offer exactly what you’d want from such a product. 2) Made out of soft-touch fabric with enough padding around the straps and the carrier itself, neither of you will face any difficulty, plus it can be worn both in front and back as per your wish or need. 3) While holding on the front, you will find two pockets for your hands to hold the baby and give your hands some rest at the same time. 4) There is a waist strap too that evenly distributes the weight while not putting extra load on your shoulders. 5) It is one of the very few baby carriers to come with a detachable hoodie for the baby. 1) A brand known for making a range of baby product, this baby carrier from LuvLap will appeal the most people with its fine quality. 2) Coming with an ergonomic design that is comfortable not only for the baby but also for the parent, this carrier can be used in four carrying positions both on the person’s front and back. 3) Its adjustable straps are made out of breathable fabric and the waist belts provide a better lumbar support to not strain your shoulders. 4) A front pocket allows you to keep the necessary stuff, while there is an added support for baby’s head that needs extra attention and care. 5) It can be used for babies up to 15 kg and is available in a bunch of different colours. 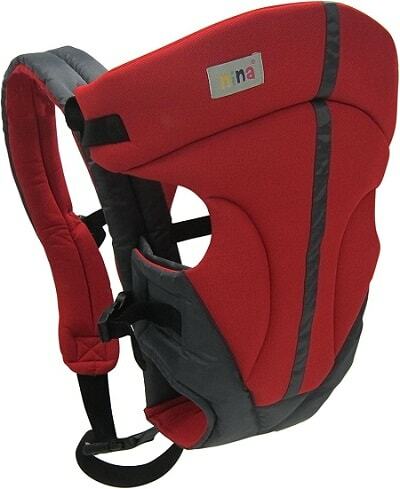 1) ‘Anoona’ (meaning ‘one without flaws) is a baby carrier made by Soul , India’s biggest ergonomic baby carrier brand. 2) Soulslings baby carrier are certified to ASTM standards (International standards for baby carriers) and made using fabrics like 100% cotton and linen. 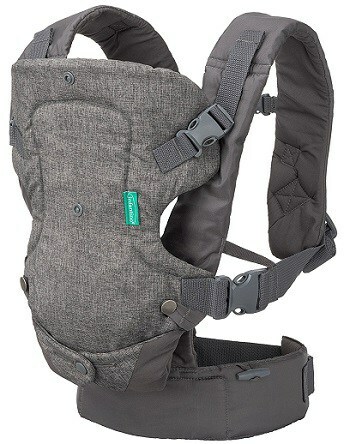 3) This all-cotton carrier comes with 5 carry options – newborn, front, front facing out, hip and back carries. 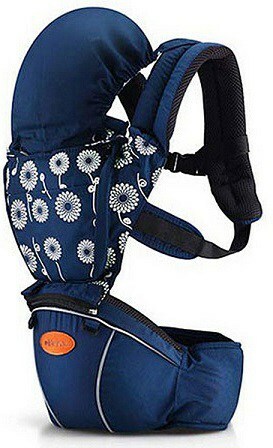 4) This baby carrier can fit all adults from petite to plus-sizes. So no worries even if you gain a little weight. 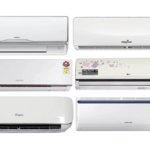 They have carriers ranging from INR 1500 to INR 10,000 , suitable for everyone needs. 5)Their is a foldable neck support at the top of the panel which is ideal for newborns. 6) Little details like a small pocket on the waistband for your essentials and a removable hood ensures extra comfort. 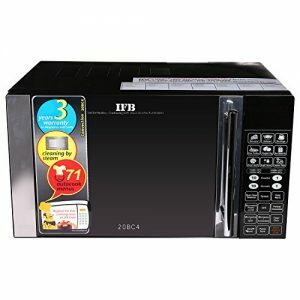 1) Compact in size while ensuring a total security and comfort of the baby. 2) Both the inner and outer portions of the baby carrier are made out of different fabric materials , for the inner one provides a soft-touch finish to the baby. 3) As its name suggests, the carrier can be used in four different positions. 4) This is done using the triple strap system that allows for a distributed weight across the shoulders and waist without straining either of them. 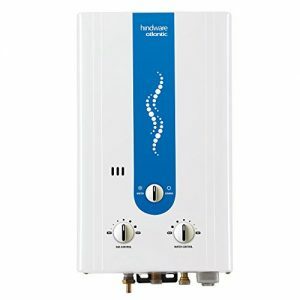 5) This product is machine washable, making it even easier to maintain. 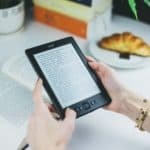 1) With the use of extra cushion in the seating area of the carrier, the company has tried to further comfort the baby. 2) The added seat also channels the weight to the waist area where it doesn’t put all the load on the shoulders of the person. 3) Adjusting that straps is easy as anything, making you stay ready just a few seconds! 4) Suitable for children up to 24 months of age, the carrier can be used in any direction and it is certified for utmost safety for all of them. 5) The company has designed it to give proper support to the head, neck and spine of the child for its proper growth. 6) You can grab one of these in two colour options. 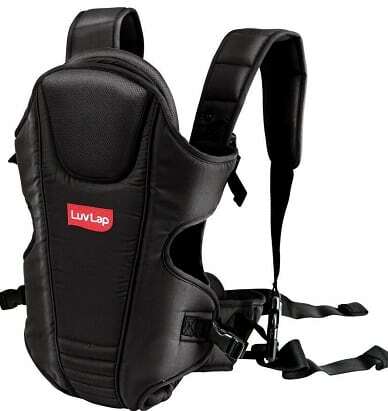 1) Designed for a more heavy-duty job, this baby carrier is much more robust than other products from the company. 2) It is made completely out of cotton, giving your newborn a natural touch inside out. 3) The use of this fabric makes the carrier much softer to touch and it allows for a comfortable fit for the person, too. 4) There are a number of pockets on the back of the baby carrier for you to store a lot of items that you might need while carrying the baby around. 5) A sleeping hood comes included with this carrier, which can be stored in a dedicated pocket when not in use. 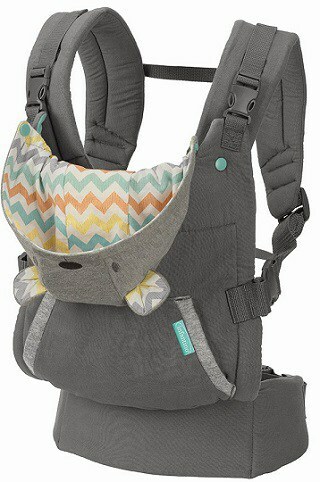 6) The use of buckle straps on the shoulder straps adds another layer of security for your kid. 1) With its more colorful floral design, this baby carrier will better appeal your kid, giving you another reason to get one, other than all the great features it offers. 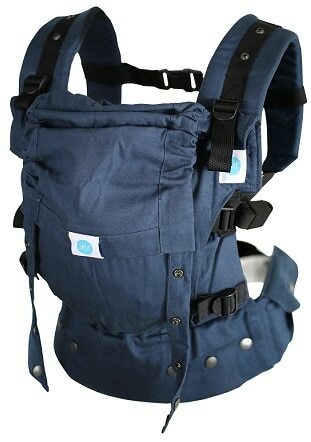 2) The company has made sure to use cotton as the base fabric for the carrier while all its straps are made out of breathable material for extra comfort during extended carrying durations. 3) It provides an all-around support for the child with a padded seat and back support, while there is a head guard included with this product. 4) The waist strap is in the perfect location to have an evenly distributed weight and giving the child a safer ride. 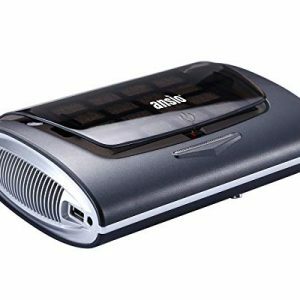 5) It can support kids up to 15 kg in weight. 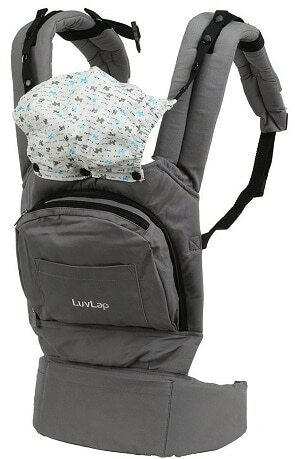 1) For providing you with a more premium product, this baby carrier from LuvLap not only looks better than other but also feels better while being more comfortable to wear. 2) A head support has been included in this product that has extra cushioning and you can even detach it when not in use. 3) The parents can use it three different positions, as they may find fit. 4) Padding has been including in every corner of the baby carrier including the seat, armholes and leg openings for added comfort for the kid. 5) And for the parent too extra padding has been including around the shoulder straps and waist strap for an excellent lumbar support. 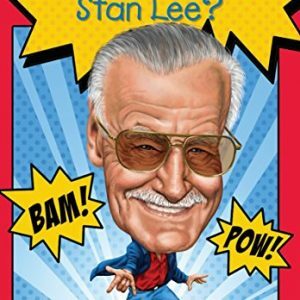 6) In line with other LuvLap products, this one is also available in a variety of products. 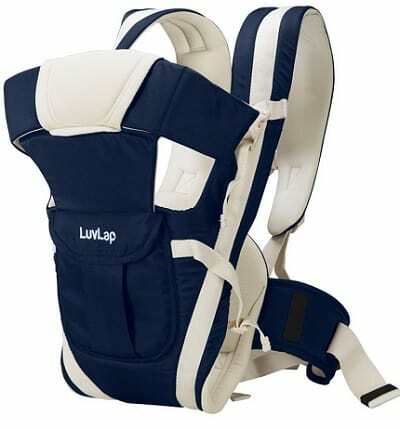 1) Holding your baby close to you, this baby carrier has a wider head support that is ideal for younger kids that need extra support for their head and neck. 2) Like many other baby carriers, you can use this one in different positions as well, while it will provide proper support to the kid in all those positions. 3) The fabric is made out of a waterproof material that can even be machine washed for helping you out. 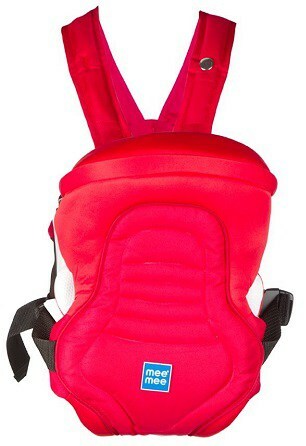 4) Its padded shoulder support straps are padded enough to keep you comfortable as well, besides the child. 5) You can get this one either in black or red color option. 1) This baby carrier is one of those products that you can call well-designed to serve its purpose. 2) Available in a couple of colour options, this baby carrier includes all the necessary support straps and extra belts for properly supporting the baby and at the same time not straining your shoulders and back. 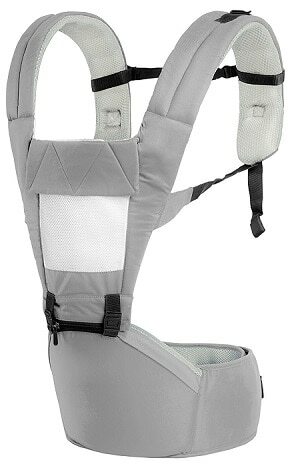 3) The shoulder and waist straps are adjustable to perfectly fit you and ensure a proper distribution of the weight. 4) A crossed belt design on the back makes it easier to carry the baby for longer durations. 5) For those longer durations, the baby also needs to be comfortable and the carriers come with proper cushioning and padding for that too with the seat and headrest area properly designed. 1) In case you are looking for something that fits your lower budget, then there is no other product better than this baby carrier from Mothertouch. 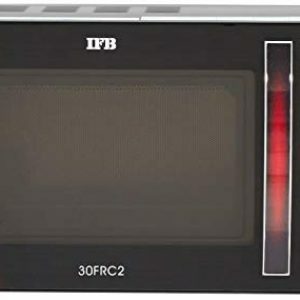 2) This is a basic product that serves its purpose quite well. 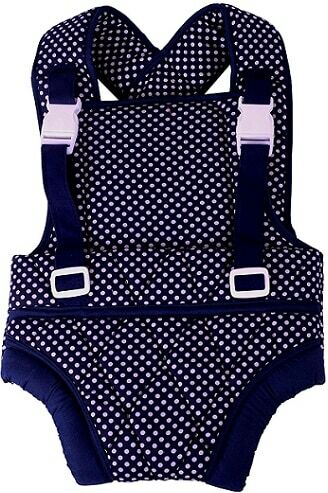 3) Coming with the polka dot design, the carrier will appeal all the people and babies too. 4) Two shoulder straps extend from the sides that are well-padded and can be adjusted according to your need. 5) The seat for the baby is also made out of comfortable fabric and has cushioning for keeping the child comfortable for long. 6) Baby’s back is also supported with the added padding.